Breastfeeding is a joy, a unique ability that only a mother can provide. After nine months of watching your baby grow inside your body, you can continue nourishing them naturally by breastfeeding. Here are 10 things you can appreciate while breastfeeding. Enjoy and happy lactating! 1. Feeding While Sleeping – Nothing makes a mother happier than breastfeeding while sleeping. No bottles or waking up to heat anything up, just breastfeed right there in bed and relax with your baby. You lose less sleep and your baby easily goes back to sleep after eating. 2. Playing With Your Hair – Gentle tugs on the hair is just a baby’s way of playing while eating. If you have a sensitive head of hair you can adapt your baby to play with a necklace you wear or anything else kid friendly. 3. You are Feeding Another Human Being – Don’t doubt your ability to produce milk. Don’t doubt your ability as a breastfeeder or a mother. Your body is made for this moment. As long as you are taking proper care of yourself and consuming enough calories your supply will be plentiful. 4. Feed your baby and make a living– You can be present and at work, it is clearly possible. If you have to work in an office enjoy the pumping break. Use this as an opportunity to read or just relax out of your busy day. If you can work remote at all costs. You would be amazed at what breastfeeders are accomplishing out of their own homes. 5. Breastfeeding Doesn’t Have to Hurt– If you are new to breastfeeding the first latching habits might feel unusual at first, but your breasts will get used to this new role they serve and so will you. If one position hurts you try a different position or make sure that your baby has a good latch. 7. Increase Breastfeeding Awareness – Don’t be embarrassed when you are out in public and have to feed your child. Consider it part of your civil duty to show the younger generations the natural joys of parenting. Your courage gives them courage to become a future breastfeeder. Have fun with it! Own it! 8. Leak Guards in Action – Contrary to popular belief breastfeeders don’t go around leaking all over the floors of business establishments. You can wear a padded bra or use nursing pads and you won’t have to worry about soaking your shirt out in public again. 9. Ween When You Are Both Ready – There is no magic number on when a baby should stop breastfeeding. In fact weening can even be child led. When they are ready to stop nursing they will stop or no longer show an interest. Weening can be just as natural as breastfeeding itself. So just relax and enjoy the relationship you have now. These moments are sacred. 10. 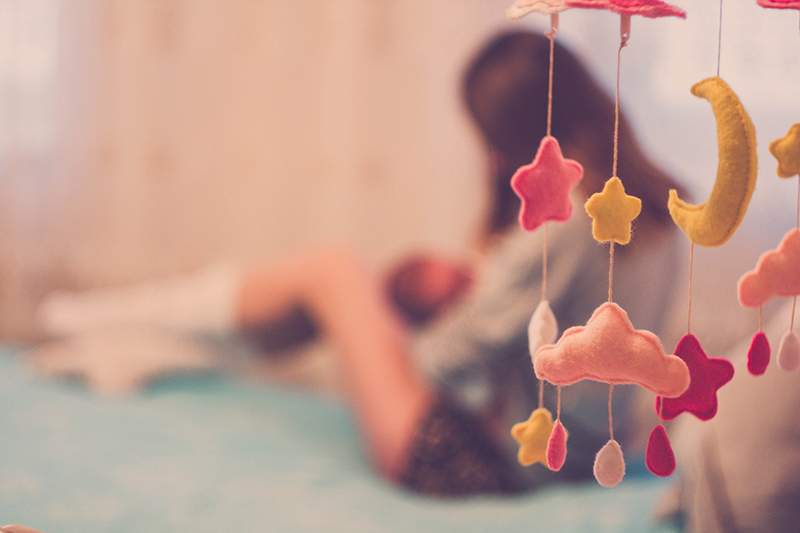 Quiet Moments Together – The greatest thing about breastfeeding is just taking that moment of time to sit down and allow you and your baby that closeness that bonds you together. Know that you are giving them emotional security and comfort by holding them in your arms and nourishing their needs while supporting their immune system. Meilena is a mother of 4 boys, and a breastfeeder for 15 years.